Riggun played in the snow for hours he loved it. 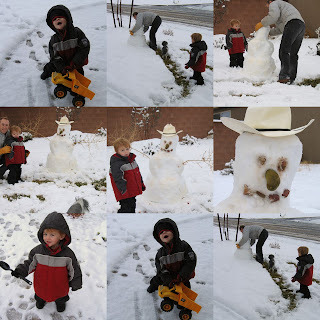 Daddy helped him build a snowman and we didn't have any carrots for the nose so we used a pickle. Then we had no sticks so we used pieces of tumbleweeds. And then of course Riggun insisted he wear a cowboy hat!